When investing, your assets can be categorised into classes. Asset classes determine the risk involved in these investments and their potential for return. There are four asset classes, and each has its own risk involved. Before you get started on trying to grow your money, make sure you know what you’re getting into with each investment. Here is a simple guide to asset classes and their potential risks. There are four asset classes. Each has a unique set of characteristics, the potential for return of investment and level of risk. 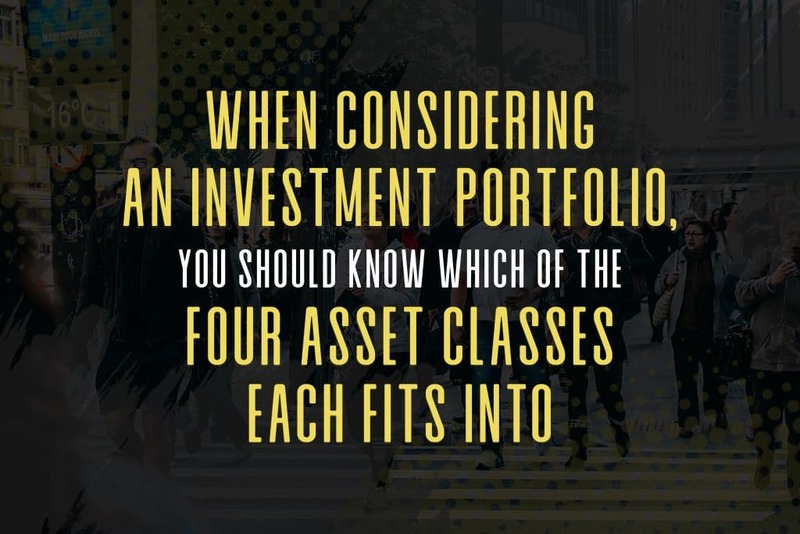 In this guide to asset classes, we will examine each of the four types of investments assets. Cash is a low-risk investment. It is a term used for highly liquid investments that are generally short-term. Cash is a class with one of the lowest ROIs available. The primary risk with cash is that it can’t match the rise of inflation. This means that the value of your assets will decline in time, because the inflation rate is higher than the return you’ll receive. A cash asset would include a savings account or cash management trust, which will not provide financial growth in the long run. Fixed-interest assets carry more risk than cash assets. These are categorised as low-to-medium risk assets. However, they are not volatile enough to be recognised as a growth asset. A fixed-interest asset would take the form of a corporate or government bond. These assets don’t carry much risk, because the return would be more than what you would get from a cash asset. Property assets are medium to high-risk investments. These investments are listed as developments separated into units, and other properties. Investments in this asset class include both residential and commercial properties. When you own a share, it means that you own a percentage of a publicly listed company. As the economies, industries and market conditions fluctuate, so does the value of your investment. Share prices also fluctuate when there are changes in investors, consumer needs, profitability, and other unpredictable factors. Share assets are considered high risk because the chances of a high return are as unpredictable as the companies themselves. Depending on the individual, the best asset classes to invest in can be different for each person. By blending asset classes, investors would be able to find the best combination that works for them. However, the same combination might not reflect well on the risk profile of another investor. Remember, the higher the potential for return, the riskier the investment, so don’t go into something you’re unsure about. Getting this right is one more step towards putting an end towards worrying about money.